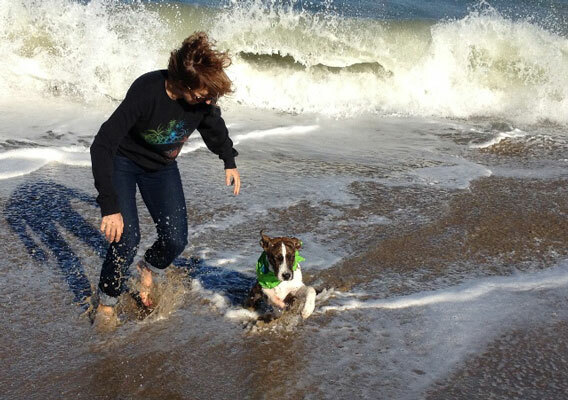 He may be one of the happiest dogs you will ever meet. In fact, you many not even notice right away that he is missing his right front leg. 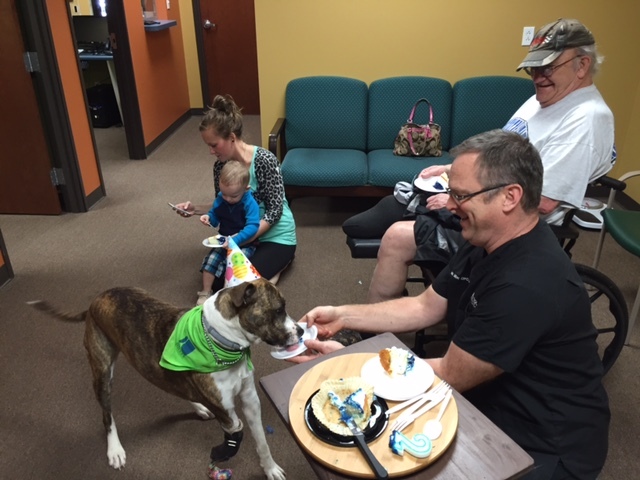 Keating was born without a leg in Chattanooga, TN in May 2014 and rescued by Mark and Nancy Miller that August. 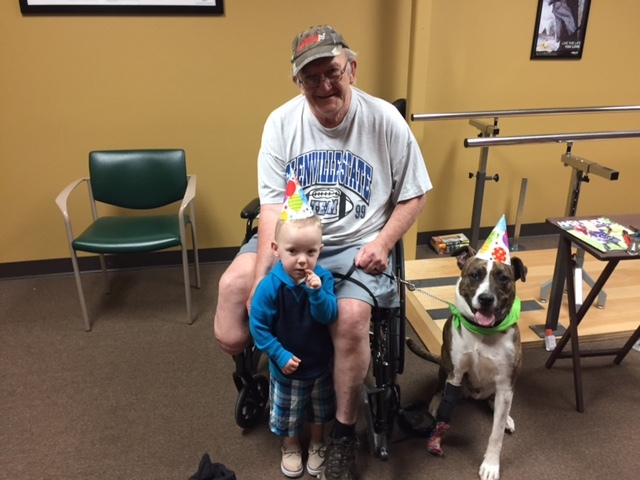 Mark Miller, a certified prosthetist/orthotist with offices in Belpre, OH and Parkersburg, WV, adopted Keating so that he could continue to make new legs for him as he grew. 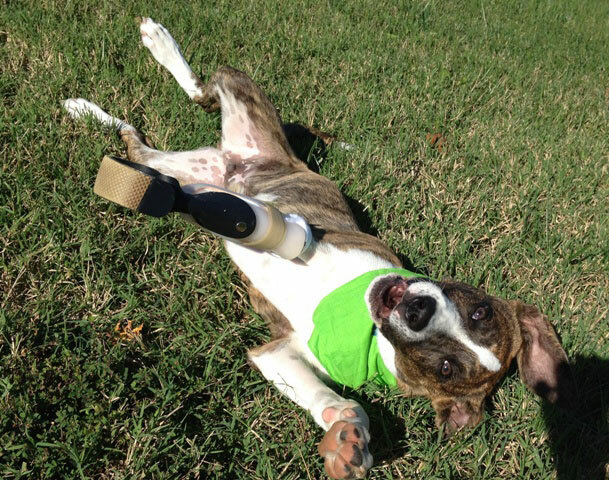 Now at four years old Keating has been wearing a prosthesis since he was a puppy, and his main job is to bring smiles to those in need. 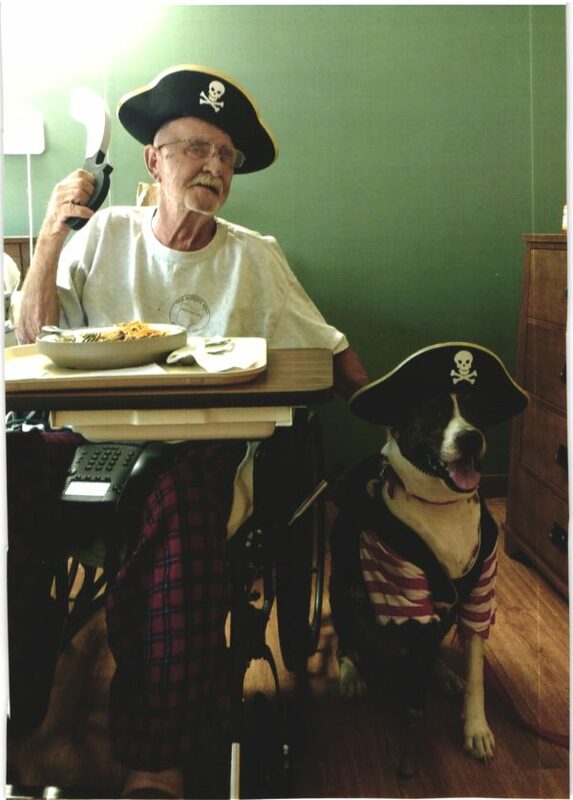 Keating’s famous Pirate Picture used on his business card. 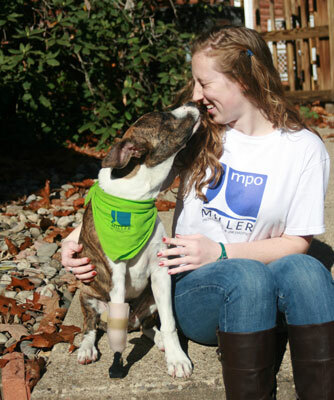 Most days, Keating can be found at the Belpre, Ohio office of Miller Prosthetics & Orthotics. 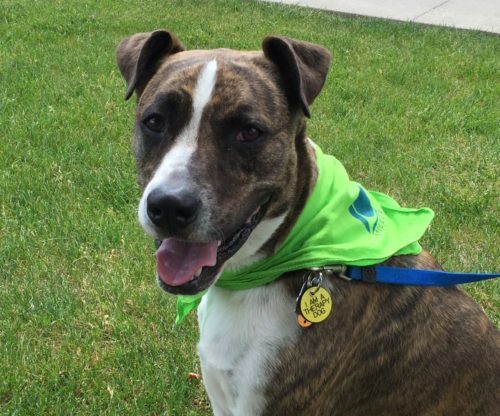 He was trained by the Millers and was certified to be a therapy dog in June of 2016 by Therapy Dogs International. 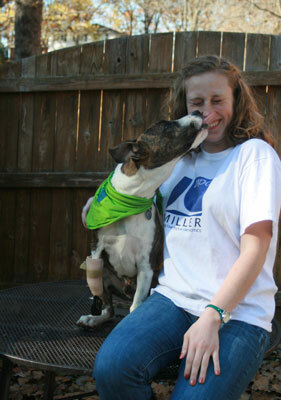 Within a week of his certification, the Millers took him to a National Amputee Coalition Conference in Greensboro, NC. 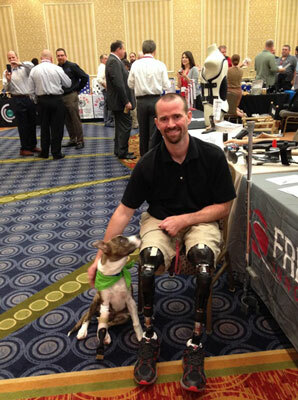 The response from attendees with limb loss was so overwhelming, that they decided to share him with the community even outside of their office. Now Keating makes weekly trips to Belpre Landing to visit the residents and others in short-term rehabilitation. He has also been to both hospitals in the area, a variety of doctor’s offices, and has recently made some rounds at HealthSouth Western Hills Rehab Hospital. He recently attended WVU’s Health & Wellness Day at the Grand Central Mall, the Senior Expo at Grand Pointe in May and a senior event at Putnam Howe Village in Belpre in June. 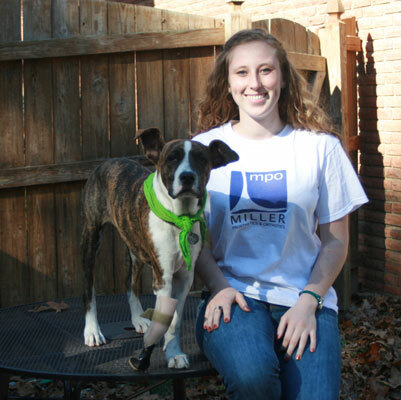 He has visited students at Mineral Wells Elementary School and the Humane Society’s Camp Ruffin It, and was able to introduce the children to limb loss and how prosthetic legs work. 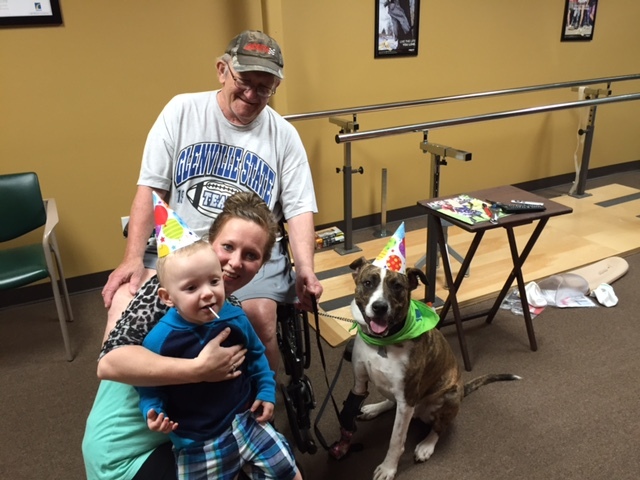 He is always around for the Prosthetic Users Group meeting which is held on the 2nd Tuesday of the month at 6:30, usually at the Miller’s Belpre, Ohio office. 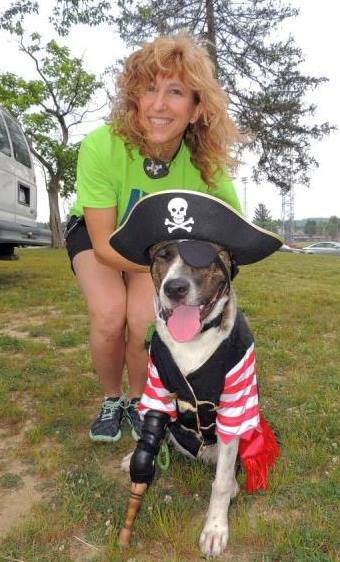 In June 2015, Keating won the costume contest for the Humane Society of the Ohio Valley. 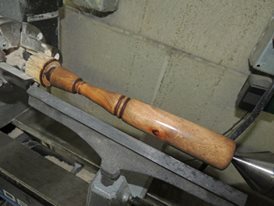 He was wearing a pirate costume and his then brand-new custom “peg-leg” hand-turned from willow wood. Willow is the type of wood that prostheses used to be made from. The pirate picture taken at that event is now featured on Keating’s very own business card. If you see Keating out and about, be sure to ask for his card! Miller Prosthetics & Orthotics is a team of highly experienced professionals who provide people with the most comfortable and functional fit for artificial limbs, and orthotic braces, supports and cranial helmets. They see patients in two locations: Belpre, Ohio and Parkersburg, West Virginia. They are a high-tech, organized and efficient organization who provide outstanding patient satisfaction at all levels. 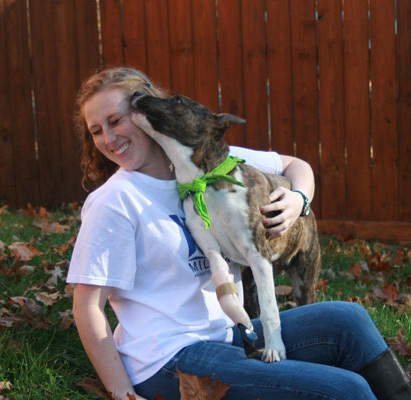 They also lead the Prosthetic Users Group of the Mid-Ohio Valley, own a 3-legged certified therapy dog named Keating, and are certified visitors through the Amputee Coalition. 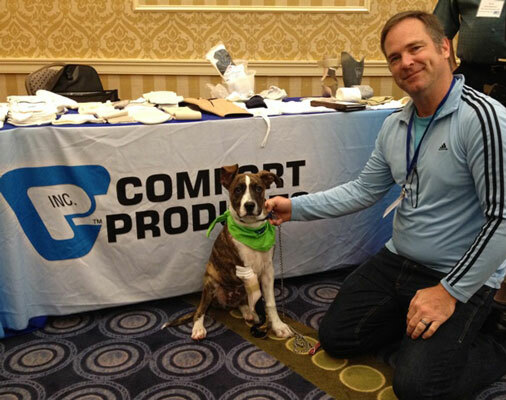 Keating loved the 2017 National Amputee Coalition Conference in Louisville! Congratulations Keating! 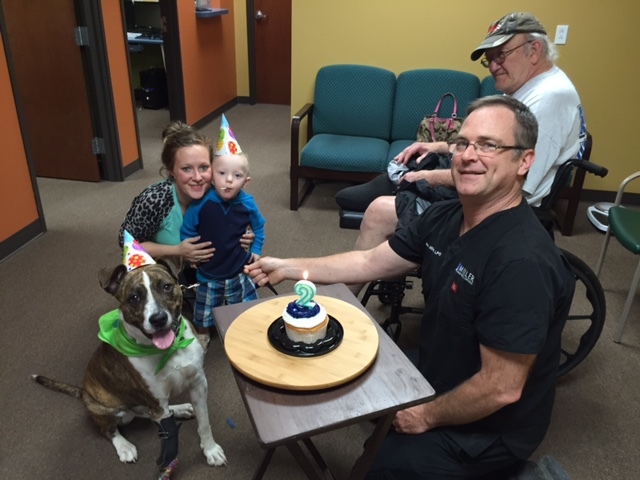 Miller Prosthetics & Orthotics is proud to announce that Keating has graduated and is now an official therapy dog. His certification from Therapy Dogs International (TDI) is a result of a series of classes and intense personal training. Keating just passed his Therapy Dog Test! 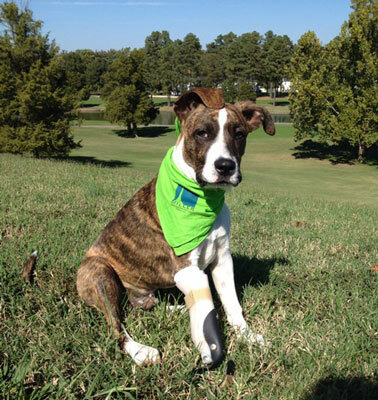 Owners Mark and Nancy Miller rescued the amputee puppy two years ago from a shelter in Chattanooga, Tennessee. Keating is a regular fixture at the offices. 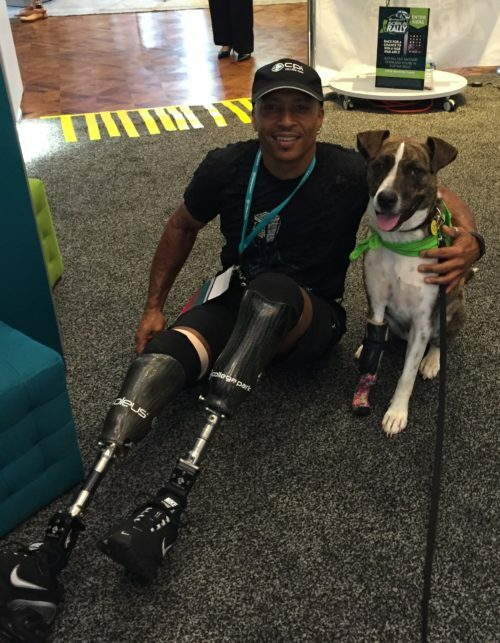 He greets patients, and shows them how happy and well-adapted he is with his artificial leg. 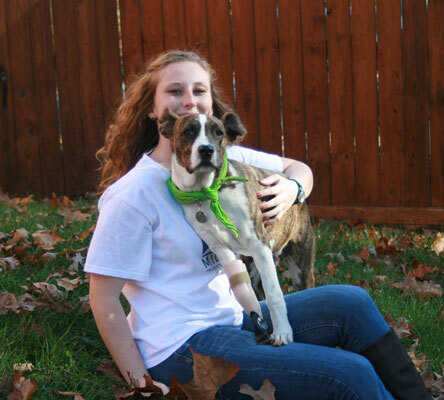 Keating graduated from two classes at the Parkersburg Obedience Club in 2014: Puppy Obedience and Basic Obedience. After the initial training and spending time in both offices, the Millers decided to step up the training. Amanda Ingram from Band of Canines Dog Training spent five days training Keating and Nancy in their office setting. 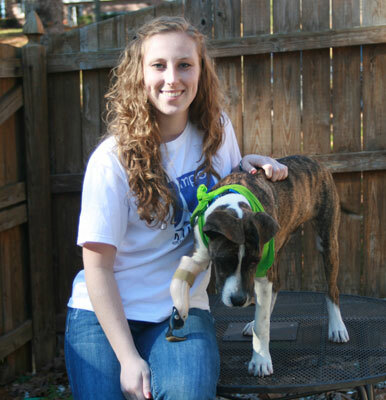 Ms. Ingram has gained her experience in the Army, where she trained bomb-sniffing search dogs. Her technique worked well for the Miller-Keating pair. Keating’s certification from TDI came just in time for him to join the Millers at the Amputee Coalition’s National Conference in Greensboro, NC. Keating’s official certification gave him access to the entire event, interacting with people from all over the world. “We knew Keating was a hit with our patients, but we never dreamed of the importance this dog holds, gauged by the reactions of the crowd. Many attendees were overcome with emotion, shedding tears, giving hugs, and taking lots and lots of pictures.” According to Nancy, Keating was in his element and loved every bit of the attention! In addition to his time in the office, Keating visits clients every Tuesday morning at Belpre Landing, the brand new short-term rehabilitation and assisted living facility near their Belpre office. He also plans to visit patients in the hospitals, nursing homes and definitely next year’s conference in Louisville, KY. If you have someone who may need a visit from this special dog, call Nancy Miller at 740-421-4211. You can also keep up with Keating and see additional photos at MillerPO.com/Inspiring-Stories/Keating. Special Thanks to Ruth DeFranco (second from left) and the testing team in Alliance Ohio for arranging our testing day. 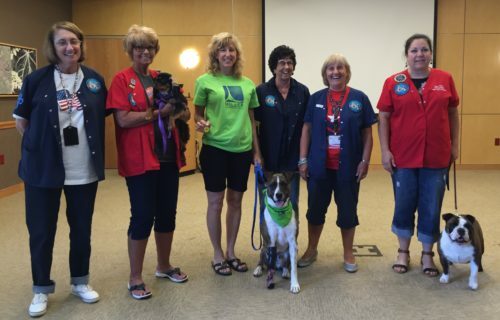 Therapy Dogs International. 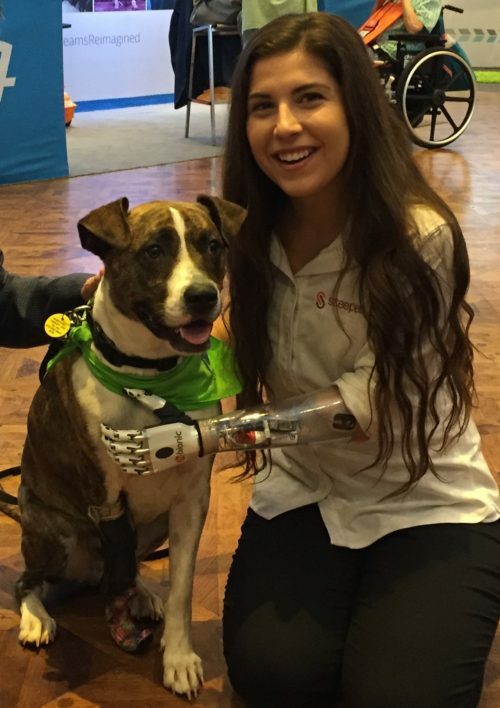 Keating finds a new friend, Angel, at the National Amputee Coalition Conference June 2016. Keating poses with Reggie Showers, Professional Motorcycle Racer and recently crossed the Serengeti Desert with “Mygrations”, a program currently airing on the National Geographic Channel. Keating poses with Two-Time World Champion Triathlete, Mabio Costa! National Amputee Coalition Conference June 2016 in Greensboro, NC. Be sure to watch it until the end. Students created this animation and were offered jobs at Disney because of it. 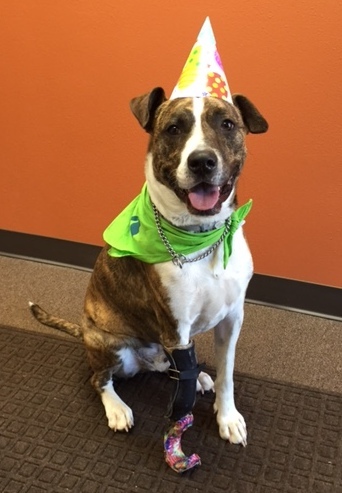 We had a fun impromptu birthday party for Keating in our office today! He enjoyed his slice of cake and his birthday gifts of ham and salami! 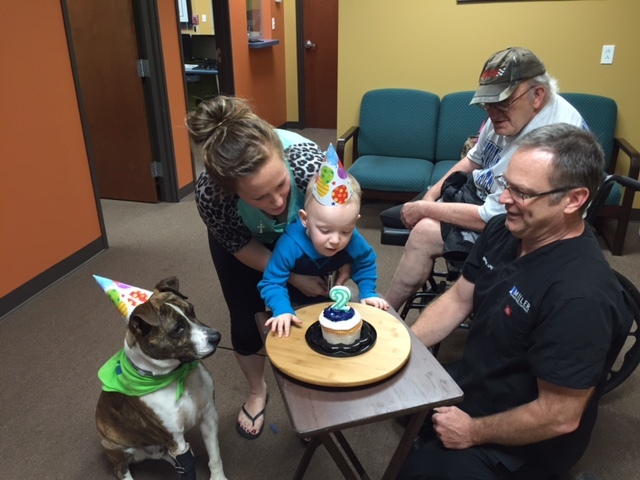 Thanks to Amanda, Chester & James for helping us celebrate!! What does Keating get when you cross Woodcraft with Miller Prosthetics & Orthotics? 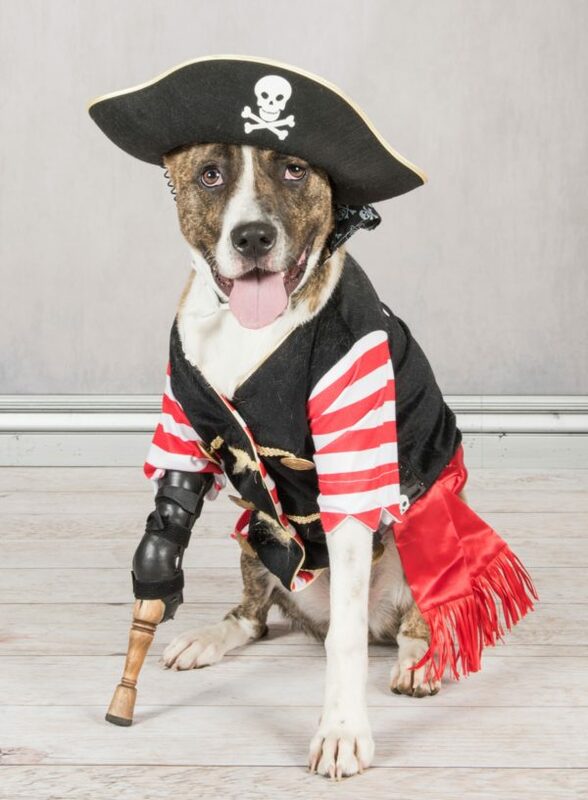 A PEGLEG! 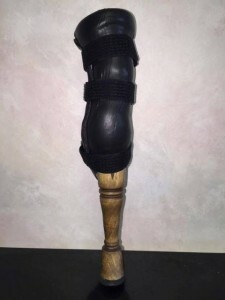 An authentic wooden leg, with a professionally made prosthetic socket! 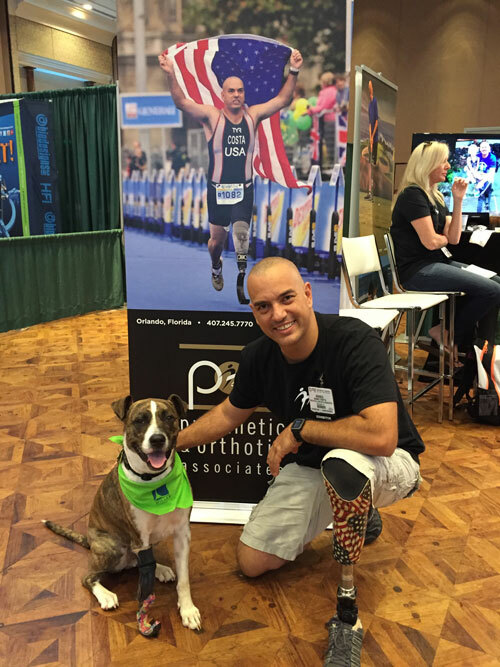 Keating is the 3-legged dog of Mark and Nancy Miller, owners of Miller Prosthetics & Orthotics in Parkersburg, WV. Nancy is also the Head of Digital Retail at Woodcraft Supply. When the Humane Society of Parkersburg, WV announced their fundraiser would include a costume contest, Nancy instantly thought PIRATE and begged Mark to make a pegleg to go with the costume. When she questioned Mark on what type of wood was originally used for wooden legs, he said “willow wood”. In fact, he explained, that is where WillowWood, an Ohio-based Prosthetic company, derived its name. 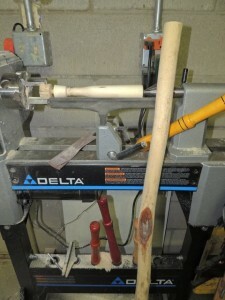 A quick search on Woodcraft.com showed that Woodcraft had willow wood in stock. The idea was so exciting, that Frank Byers of Woodcraft was eager to help. Frank actually found a willow stick in the office, and offered to make the wooden part of the leg! 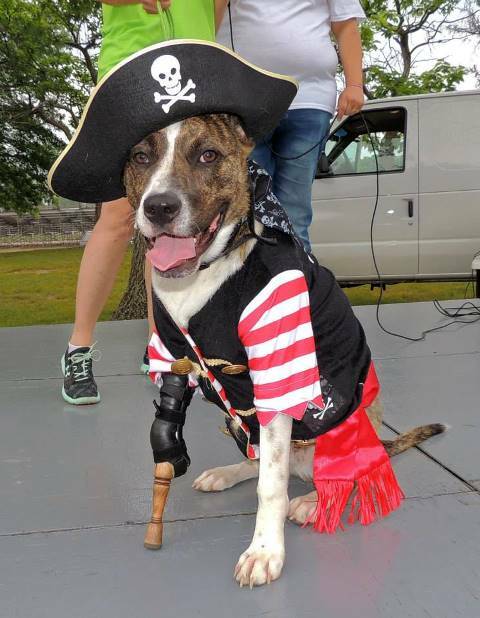 The custom-fit wooden pegleg and costume came together at the Humane Societies “Walk your Paws” Fundraiser on Saturday June 6, 2015. The crowd fell in love with Keating as he joined the other pets in a lap around the park. His leg fit so well that he was able to easily run the path. He was also able to climb up and down the stairs to the stage, and won first place in the costume contest! 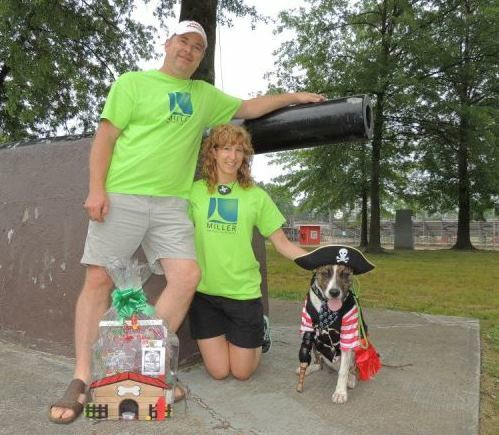 His pirate treasure prize was a big basket of dog treats! This was the 5th socket that Mark made for Keating, who is now one year old. 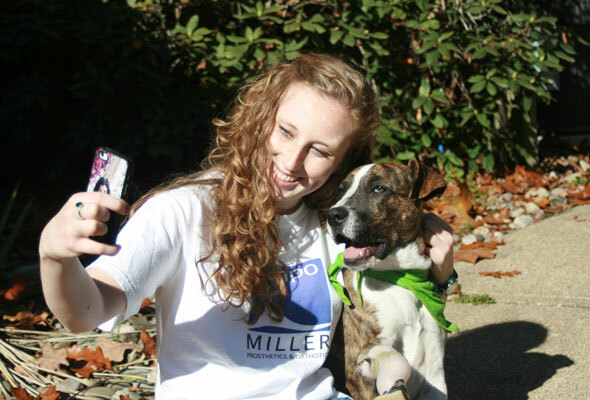 Last year Keating was rescued by the Millers through MARC, an non-profit rescue organization in Chattanooga, Tennesse. 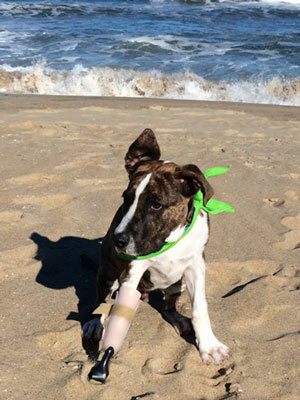 Traci Kilmartin, a prosthetist in Chattanooga who made the puppy’s first prosthesis, reached out to her professional network to find a good home for the puppy. 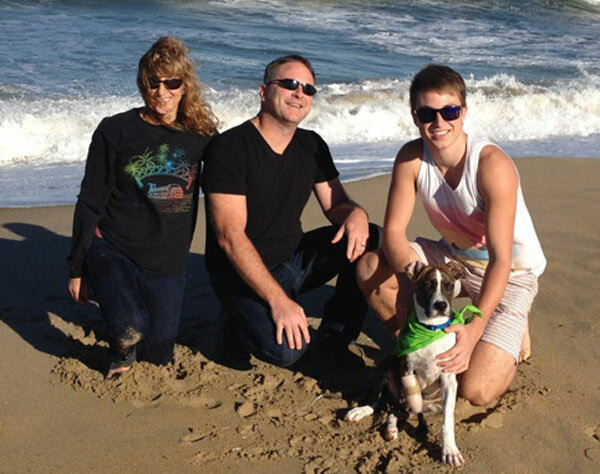 Mark responded to the post, and soon the Millers took him in and made him part of their family. Now Keating usually goes to the office with Mark and has been very helpful to their amputee patients, especially those who have recently lost their limb. 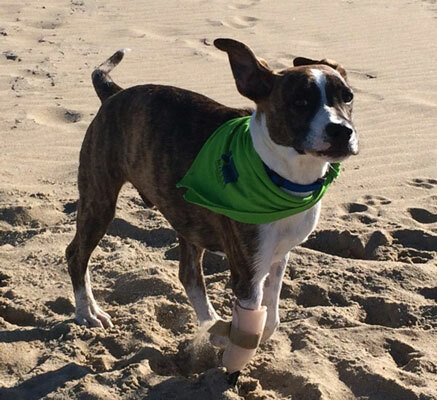 Keating is the happiest dog around, and doesn’t let his missing limb slow him down. Thanks to Pat Catan’s, who had a pirate costume for toddlers, Keating was decked out and ready to go to the fundraising event. The Parkersburg City Park venue was equipped with a cannon, for the perfect pirate snapshot! Thanks to the Humane Society of Parkersburg for the rescue and care they give to animals, and for all who donated to the cause at the Walk Your Paws event. 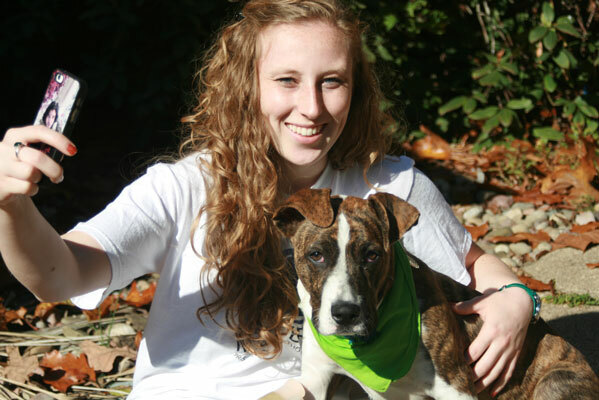 Keating will make another visit to the Humane Society for their kids “Camp Ruffin’ It” on June 23, 2015. 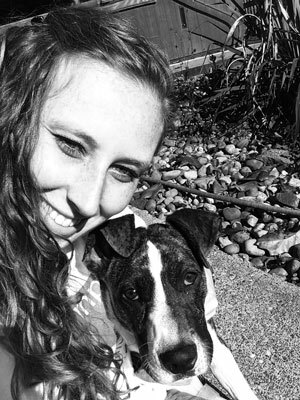 Our daughter Arienne was home from college for the weekend, and got a chance to play with Keating! She worked on his “Selfie” trick. Below is a quick video and some photo’s from the beautiful fall day. Keating Fetch Video and Fall Photo Shoot with Arienne! 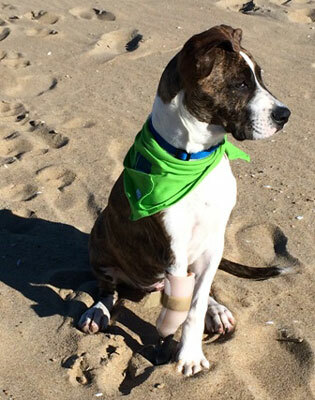 Although Keating gets along fine with three legs, he loves running fast with all four! Check out the video of our daughter Arienne playing fetch with him. He is also getting quite used to the camera. We did a fun photo shoot with the Miller Prosthetics & Orthothics (MPO) gear. 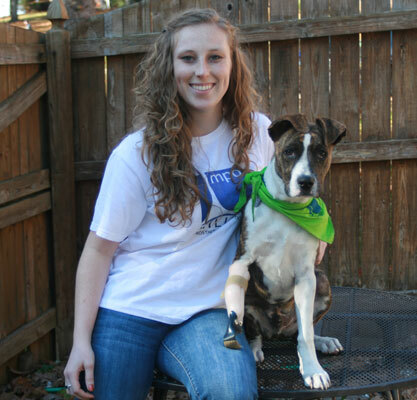 The green bandana is his work uniform, and Arienne is wearing one of our original t-shirts! Keating loved the treats he got after each good pose. He’s up for a photo shoot any day! Notice the foot on the leg he is wearing. Mark turned the foot around so he wouldn’t get it caught on sticks, wires, etc when he runs. Mark and Nancy attended the Virginia Orthotic and Prosthetic Annual Conference in Richmond, Virginia on October 17-18, and Keating tagged along. Keating was welcomed by the clinicians, vendors and patients at the show. 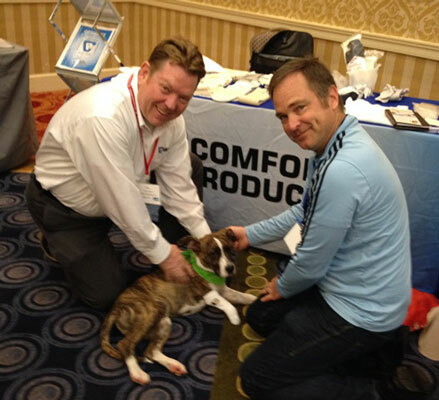 Thanks to Comfort Products, Inc. he even got two new pairs of prosthetic socks to help his leg fit more comfortably.